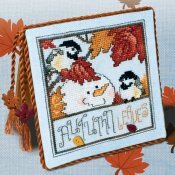 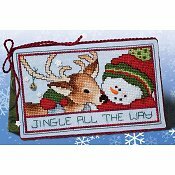 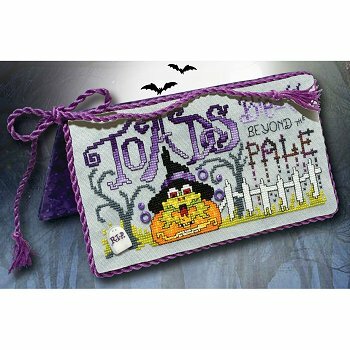 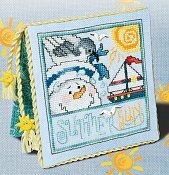 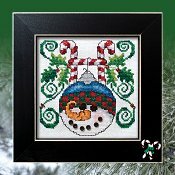 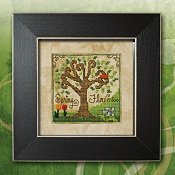 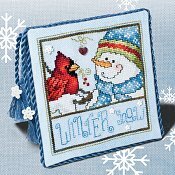 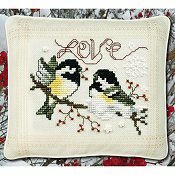 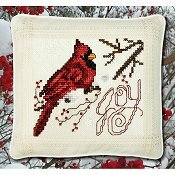 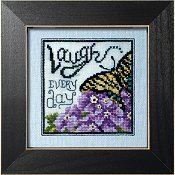 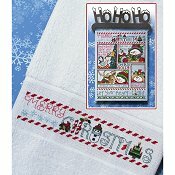 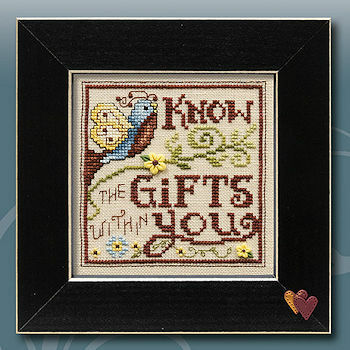 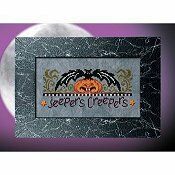 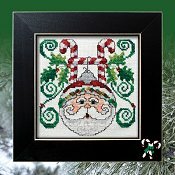 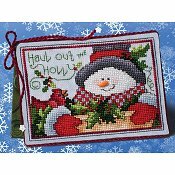 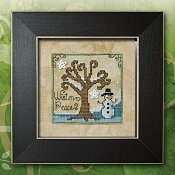 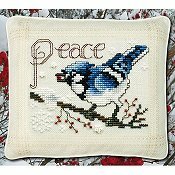 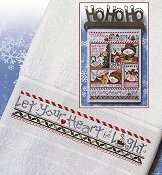 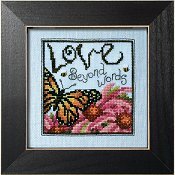 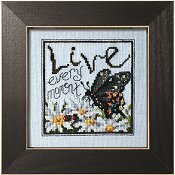 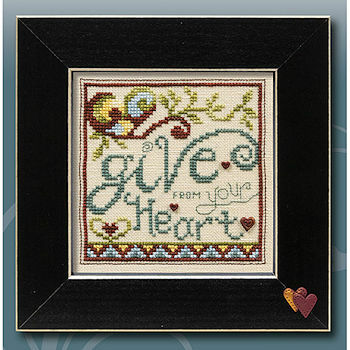 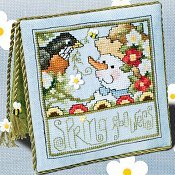 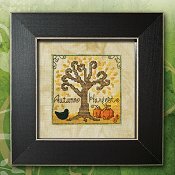 Collect Stoney Creek's popular Pattern of the Month series! 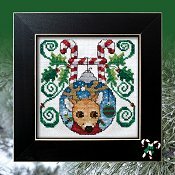 A new pattern is released every month and is FREE for the first month of its release! 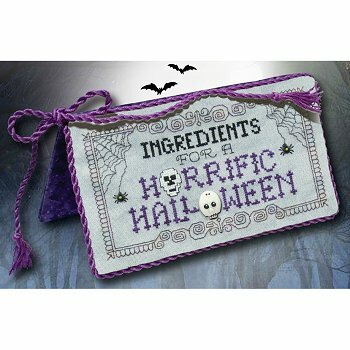 (Normal shipping charges apply.) 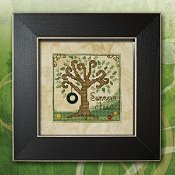 Find charts from past series starting from the most recent to the oldest. 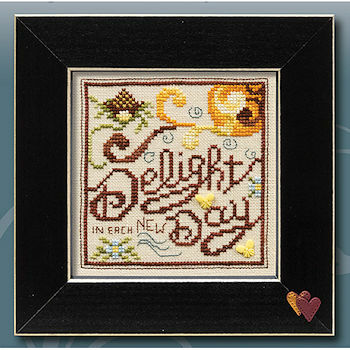 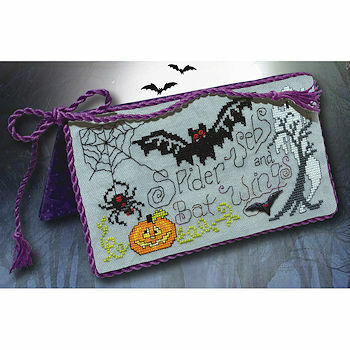 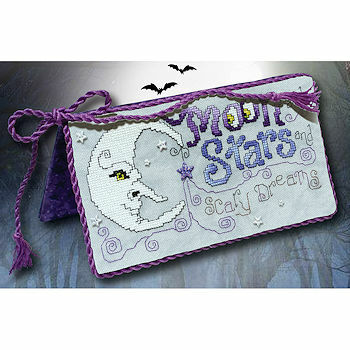 Click on each chart to view stitching supplies needed and related products. 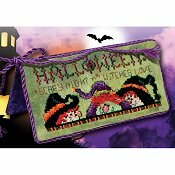 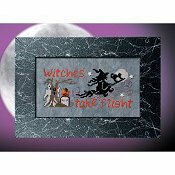 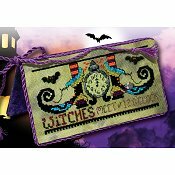 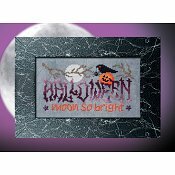 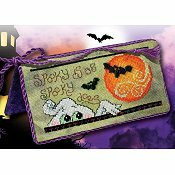 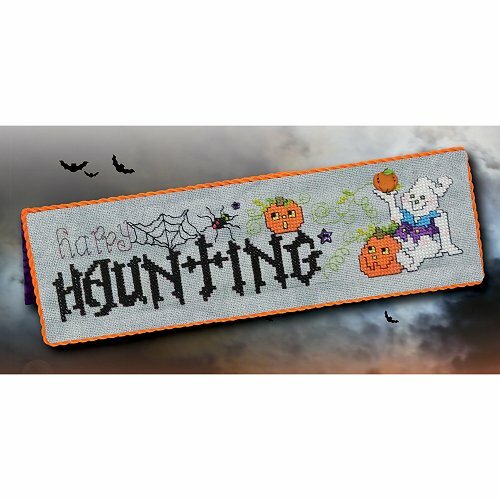 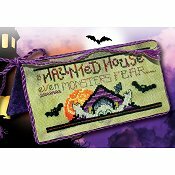 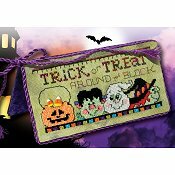 April 2019 Pattern of the Month "Trick~Treat"
Free through April 30th! 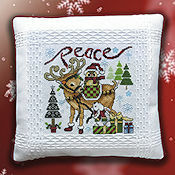 Please note shipping charges apply. 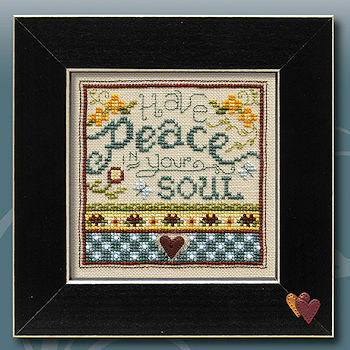 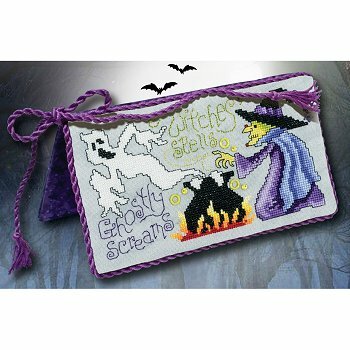 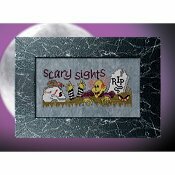 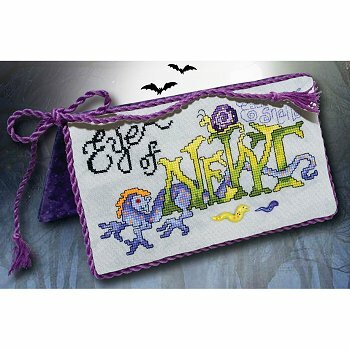 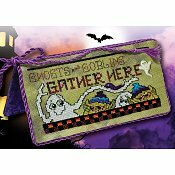 March 2019 Pattern of the Month "Happy Haunting"
February 2019 Pattern of the Month "Have Peace In Your Soul"
January 2019 Pattern of the Month "Know The Gifts Within You"
December 2018 Pattern of the Month "Give From Your Heart"
November 2018 Pattern of the Month "Delight"
October 2018 Pattern of the Month "Moon & Stars"
September 2018 Pattern of the Month "Spider Webs & Bat Wings"
August 2018 Pattern of the Month "Toad's Breath"
July 2018 Pattern of the Month "Witches' Spells"
June 2018 Pattern of the Month "Eye Of Newt"
May 2018 Pattern of the Month "Ingredients"
April 2018 Pattern of the Month "Peace Blue Jay"
March 2018 Pattern of the Month "Love Chickadees"
February 2018 Pattern of the Month "Joy Cardinal"
January 2018 Pattern of the Month "Winter Snow"
December 2017 Pattern of the Month "Autumn Leaves"
November 2017 Pattern of the Month "Summer Sun"
October 2017 Pattern of the Month "Spring Flowers"
September 2017 Pattern of the Month "Witches Meet"
August 2017 Pattern of the Month "Trick or Treat"
July 2017 Pattern of the Month "Haunted House"
June 2017 Pattern of the Month "Ghosts & Goblins"
May 2017 Pattern of the Month "Spooky"
April 2017 Pattern of the Month "Scary Night"
March 2017 Pattern of the Month "Winter Peace"
February 2017 Pattern of the Month "Autumn Harvest"
January 2017 Pattern of the Month "Summer Fun"
December 2016 Pattern of the Month "Spring Flowers"
November 2016 Pattern of the Month "Santa"
October 2016 Pattern of the Month "Red Nose Reindeer"
September 2016 Pattern of the Month "Jolly Snowman"
August 2016 Pattern of the Month "Let Your Heart Be Light"
July 2016 Pattern of the Month "Make The Season Bright"
June 2016 Pattern of the Month "Jingle All The Way"
May 2016 Pattern of the Month "Haul Out The Holly"
April 2016 Pattern of the Month "Hang a Shining Star"
March 2016 Pattern of the Month "Merry Christmas"
February 2016 Pattern of the Month "Love ~ Monarch"
January 2016 Pattern of the Month "Laugh ~ Eastern Tiger Swallowtail"
December 2015 Pattern of the Month "Live ~ Black Swallowtail"
November 2015 Pattern of the Month "HO HO HO...Snowman"
October 2015 Pattern of the Month "HO HO HO...Reindeer"
September 2015 Pattern of the Month "HO HO HO...Santa"
August 2015 Pattern of the Month "Witches Take Flight"
July 2015 Pattern of the Month "Jeepers Creepers"
June 2015 Pattern of the Month "Scary Sights"
May 2015 Pattern of the Month "Halloween"